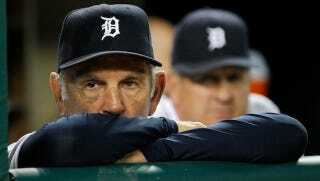 This is it for Detroit, which has to win the next three in succession to clinch the AL pennant. The Tigers have Justin Verlander going, while the Rangers are countering with C.J. Wilson. It's already 1-0 Texas in the bottom of the first, thanks to a Josh Hamilton sacrifice fly after Ian Kinsler led off the game with a double and Elvis Andrus moved him to third on a groundout. But there's a long way to go. Feel free to chat about the rest with your friends in the comments.